SAC Ventures, Inc. (owner of Flat Rock Metal, Inc.) is pleased to announce the acquisition of Steel Dimensions, Inc. (SDI) as a very positive addition to its current family of companies. SDI is a company located in Erie, Michigan consisting of 48,000 square feet of space. It currently operates 2 cut to length lines and 3 shears. A multi blanking line has also been purchased for the SDI facility. The multi blanking line is expected to be installed and operational in Erie in the spring of 2015. We are excited about the addition of SDI as we view this acquisition to be a positive step for all stakeholders. Virgil Crots, the founder of SDI, and all current employees will remain with the company and continue with its successful operation. 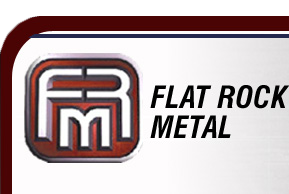 Current customers of SDI as well as customers of Flat Rock Metal will experience greater capabilities as the two companies work together in implementing the planned growth mentioned above. We anticipate the joining of the SDI and FRM teams to be a very positive step toward the continued growth of both companies. SAC Ventures now operates four companies within the steel processing industry. In addition to Flat Rock Metal and Steel Dimensions, it also operates Bar Processing Corporation and Custom Coating Technologies. For further information relating to this announcement, equipment capabilities or any other questions, please contact Keith King, David Brey or Bob Demyan at (734) 782-4454.